Grand Theft Auto is the gift that keeps on giving for publisher Take-Two Interactive. The company released its Q1 2019 fiscal report today, highligting "better-than-expected recurrent consumer spending on Grand Theft Auto Online and NBA 2K18, as well as strong ongoing demand for Grand Theft Auto V." Sales dipped a bit but GAAP net income increased from $60.3 million in Q1 2018 to $71.7 million,. There's no denying the continued importance of GTA to the publisher as it eagerly awaits the October release of Red Dead Redemption 2. GTA V has reached almost 100 million sold-in (shipped) and the games-as-a-service model for GTA Online shows absolutely no signs of slowing down. 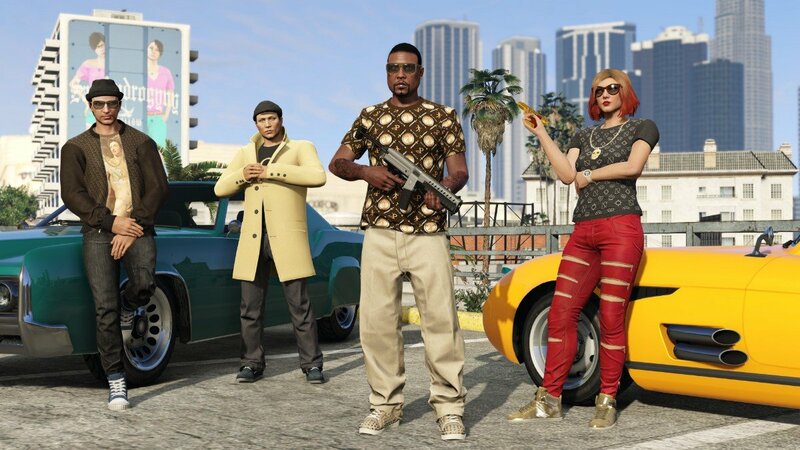 At the start of the year, Rockstar and Take-Two boasted that GTA Online had broken its player count record (without disclosing said count) and in the months since, things seem to be getting better and better. In a pre-briefing with GameDaily in advance of the fiscal release, Take-Two CEO Strauss Zelnick admitted that he does expect GTA Online to slow eventually, but at this rate it does almost feel like the kind of online world that could have WoW-like longevity. "We've been surprised by GTA Online for the better part of five years," he told me. "We've continued to say that we expect the results to moderate, and in fact we get better results. We do expect the results for GTA Online to moderate this year, I should say. However, it's just been an extraordinary performer. The rest is all up to Rockstar Games and the content they continue to put out. They said they expect to continue supporting the game. They just put out a content update that's performing very. very well. And it's up to the consumers. Certainly we're really proud of what Rockstar Games has achieved to date." What makes GTA Online unique is that access to the online world stems from purchasing GTA V. Rockstar has said in the past that there are no plans to offer GTA Online as a standalone title, but with the success that it's seen, it's something to consider. WoW and other online worlds have gone through a number of business model changes, including free-to-play options. So will Take-Two consider making any monetization changes? As the saying goes, if it ain't broke, don't fix it, but Zelnick actually did not give a flat "no" response to the question. "It's a great question and I think what we've shown around here is that we are flexibly minded," he remarked. "We listen to the consumer and we engage with the consumer in the way that they wish to engage. We think we provide an enormous amount of value with GTA V and the content updates, and GTA Online is extraordinarily successful because of the experience that provides." As he stated in our E3 interview, Zelnick reminded me that Take-Two doesn't look at monetization as its priority. "Our number one priority is to captivate and engage our audience. 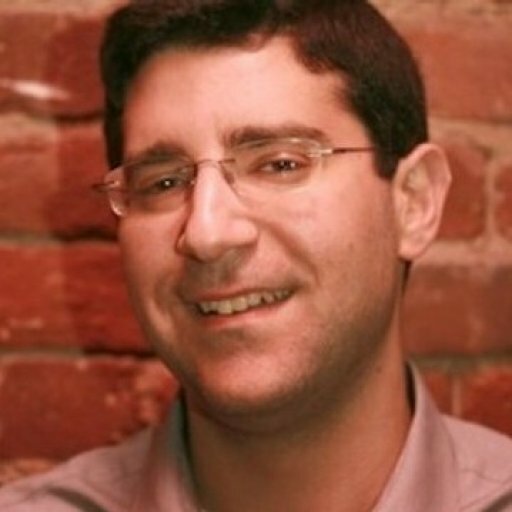 Monetization in whatever form takes a backseat to that," he said on the phone today. "We're open-minded about business models. That said, we created this extraordinary entertainment [in GTA Online] and the model we're distributing it under right now is working very well." Another standout from the publisher's first quarter was the success of NBA 2K18, which has sold-in 10 million units and is tracking ahead of last year's edition by 17 percent. As well as the Visual Concepts-developed franchises has done for Take-Two, Zelnick believes larger opportunities are out there with international markets and the burgeoning esports component. "We are very focused on the NBA 2K brand reaching consumers in any number of ways," he noted, "whether that's NBA 2K Online in China, which has 37 million registered users, and the new version is just entering open beta today in China; whether that's Playgrounds 2; whether that's our mobile game; whether that's our esports business which has had a terrific first season on Twitch, where engagement has grown day-after-day and week-after-week. "We're trying to be where the consumer is. There's plenty of room for growth because there's so much potential in international markets, particularly in China where basketball is beloved. And there's still growth potential in domestic markets. We're always looking over our shoulder at the competition and we still think there's plenty of room ahead as well." That competition is EA Sports, of course, which has a veritable empire in sports with FIFA, Madden and others. Take-Two used to operate a baseball franchise with MLB 2K, but that contract just wasn't a good investment for the company. Zelnick does not see Take-Two attempting anything like that again. Switch is doing great for us...Typically the Nintendo platforms are better for E-rated titles than for Mature titles but I wouldn't rule it out. We're open-minded. "There aren't that many sports that really matter in the video game business," he stated. "It's pretty clear that EA dominates soccer, and pretty clear that we dominate basketball and EA also dominates football, and after those three, the importance of the franchises or brands really declines materially. We're definitely focused on sports entertainment. WWE is a big priority for us and we do see continued opportunities but we don't necessarily believe there's a crossover among sports entertainment titles. So we look at every opportunity on a standalone basis." In Take-Two's fiscal release, the publisher also noted that it's looking to "broaden our offerings for the Nintendo Switch with the release of Carnival Games" on November 6th. That's "broadening" of a sort, but it doesn't appear that Take-Two is about to go full-on Bethesda, and release its core IP like Bethesda did with Doom, Wolfenstein and Skyrim... at least not yet. "Switch is doing great for us," Zelnick asserted. "We have NBA 2K 19 Standard Edition coming, Carnival Games, and NBA 2K Playgrounds 2 coming for Switch, so we've been supportive and we continue to expect to be supportive, and the titles we've released to date have performed well for us. Typically the Nintendo platforms are better for E-rated titles than for Mature titles but I wouldn't rule it out. We're open-minded." Take-Two finished the quarter with $1.1 billion in cash and short-term investments, which is nothing to sneeze at. Might the publisher reinvest and acquire some studios to help grow its IP portfolio? 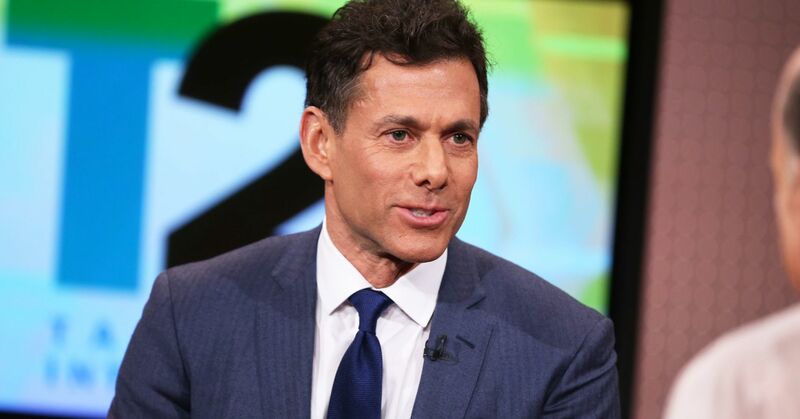 "We're definitely in growth mode," affirmed Zelnick. "There are three potential uses for our capital: supporting organic growth, which has really been the story of this company; supporting inorganic growth through acquisitions (and we have made selective acquisitions, with our biggest so far being Social Point). And typically we'll do an acquisition if we believe there's great intellectual property, perhaps it diversifies our approach to business models and they are a great team with similar culture. And finally, we said we'll return capital to the shareholders when it makes sense and we've bought back over $300 million in stock over the last 12 months at an average price of $96."